This week: the winner of the 2018 Man Booker Prize, plus Yan Lianke's satiric, chilling take on China’s policy of forced cremation. In her Booker-winning novel, Burns (No Bones) gives an acute, chilling, and often wry portrait of a young woman—and a district—under siege. The narrator—she and most of the characters are unnamed ("maybe-boyfriend," "third brother-in-law," "Somebody McSomebody")—lives in an unspecified town in Northern Ireland during the Troubles of the 1970s. Her town is effectively governed by paramilitary renouncers of the state "over the water," as they call it. The community is wedged between the renouncers, meting out rough justice for any suspected disloyalty, and the state's security forces. 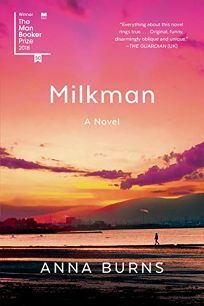 One day, "milkman," a "highranking, prestigious dissident" who has nothing to do with the milk trade, offers the narrator a ride. From this initial approach, casual but menacing, the community, already suspicious of her for her "beyond-the-pale" habit of walking and reading 19th-century literature, assumes that she is involved with the rebel. Milkman, however, is in essence stalking her, and over the course of several months she strives, under increasing pressure, to evade his surveilling gaze and sustained "unstoppable predations." There is a touch of James Joyce's Stephen Dedalus in the narrator's cerebral reticence, employing as she does silence, exile, and cunning in her attempt to fly the nets of her "intricately coiled, overly secretive, hyper-gossippy, puritanical yet indecent, totalitarian district." Enduring the exhausting "minutiae of invasion" to which she is subjected by milkman, and the incursion of the Troubles on every aspect of life, the narrator of this claustrophobic yet strangely buoyant tale undergoes an unsentimental education in sexual politics. This is an unforgettable novel. Class, racism, and Islamophobia are explored head-on in Gunaratne’s Man Booker-longlisted debut. In London, specifically the towering council estates—described as suburban wastelands of “Adidas and... broken windows and overflowing garbage”—three streetwise youths from immigrant families are united by their love of football and American rap music. The three are Yusef, the Pakistani son of a now-deceased imam, raised in the shadow of 9/11 and struggling to care for his tormented brother, Irfan; Ardan, Irish son of Caroline, who fled a family deep with IRA violence; and Selvon, who carries with him a fury that alienates him from his Caribbean-born, politically active father. But their friendship will be tested by the riots following the (real-life) murder of a white soldier by a black Muslim, riots that will bring ethnicity, familial loyalty, and extremism to the forefront as mosques burn at the hands of the vengeful mobs. 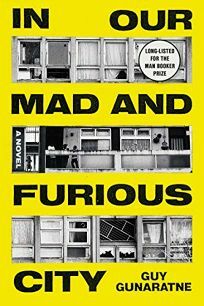 Written in the working-class dialect of its protagonists, the novel arrives at a piecemeal portrait of contemporary London that manages to be both Gunaratne’s savvy rejoinder to nationalist politics and a Faulkner-esque feat of ventriloquism in its own right. 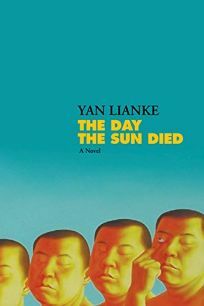 Yan (The Years, Months, Days) trains his fantastical, satiric eye on China’s policy of forced cremation in this chilling novel about the “great somnambulism” that seizes a rural town. Horrified to learn that the bodies cremated by his brother-in-law in accordance with the mandate to “save farmland” from being wasted on graves leaves behind residual “corpse oil,” a funerary shop owner named Tianbao agrees to buy and hide the oil rather than let it be shipped to factories ignorant of its origin. His son, Niannian, helps with this grim task, considering himself “like a tree that had grown up at the entrance of the underworld.” That threshold is breached one midsummer night, when the townspeople begin “dreamwalking.” Reports arrive of accidental drownings involving the dreamwalkers, then of a murder with an iron rod. Looting and violence spread as more people begin dreamwalking, until the town is “engulfed in the sounds of screams and murderous beatings.” The interweaving of politics and delusion creates a powerful resonance that is amplified by Tianbao’s borderline mythical plan for how to “drive away the darkness,” leading to an unforgettable ending. This is a riveting, powerful reading experience. 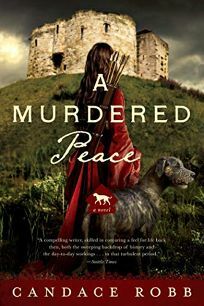 Set in York in 1400, Robb’s superior third Kate Clifford mystery (after 2017’s A Twisted Vengeance) puts the redoubtable heroine in considerable peril. Richard II has been deposed and succeeded by his cousin, Henry IV. After Henry survives a plot to return the throne to Richard, the sovereign sees conspirators everywhere. Kate, who runs a guesthouse whose upper chambers are frequently rented to the wealthy for private assignations, finds herself between a rock and a hard place when an old friend, Lady Margery Kirkby, appears at her door seeking shelter. Lady Margery’s husband, Sir Thomas, sought to persuade Henry to improve the conditions of Richard’s imprisonment, but ended up branded an enemy of the crown and decapitated. Kate takes the new widow in, but the risks to herself increase after her former cook, who’s suspected of being a threat to Henry, is accused of murder. Robb effortlessly integrates the era’s intrigues into a whodunit framework and peoples the plot with a wide array of characters readers will come to care about.